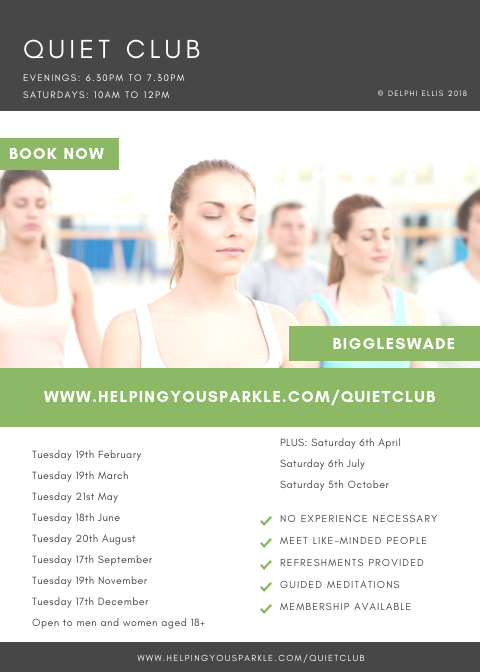 Quiet Club is a monthly meditation group for like-minded people to come together in quiet contemplation and practise mindfulness. It’s open to men and women, aged 18+ and running in Milton Keynes and Biggleswade from January 2019. No previous experience necessary. To sign up for updates about Quiet Club in MK click here.